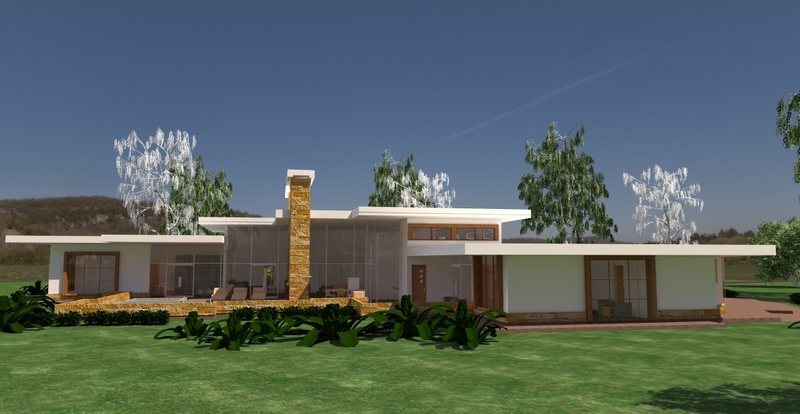 This is a bespoke design based on an existing design for a large four bedroom home that is suited for a large property, as a beautiful spread out design with a distinct international/contemporary concept. 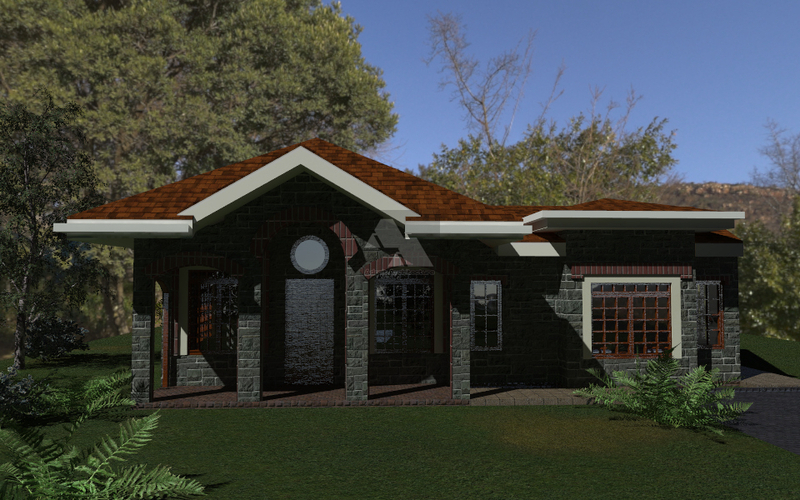 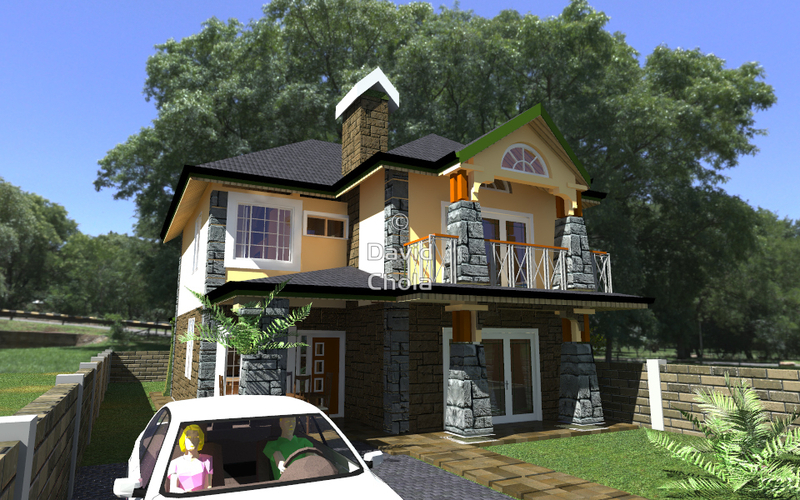 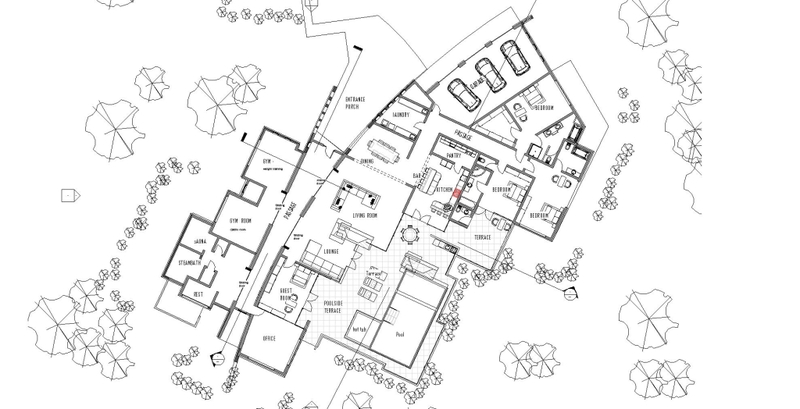 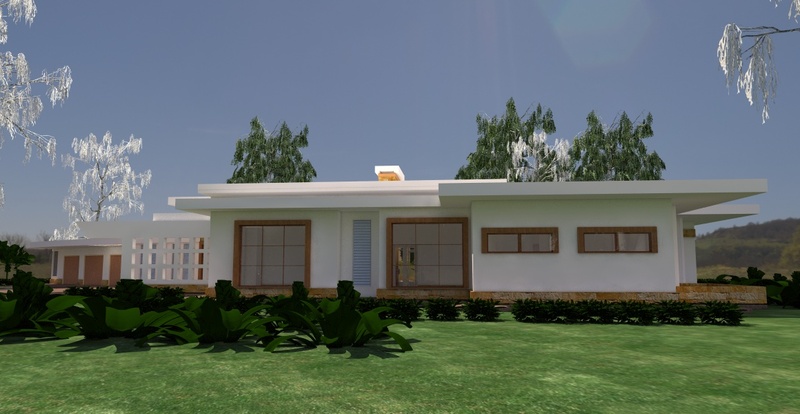 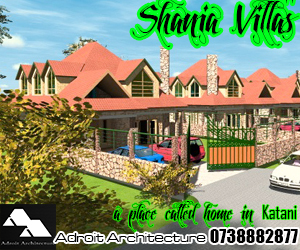 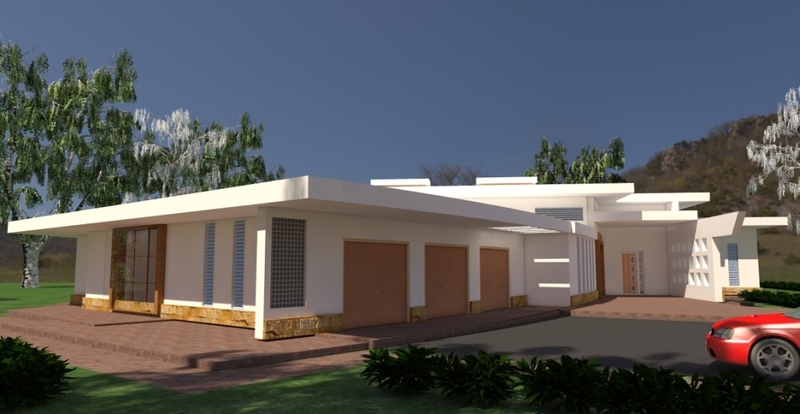 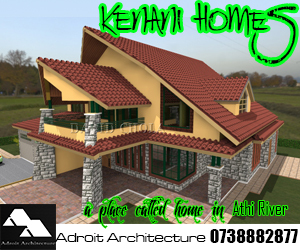 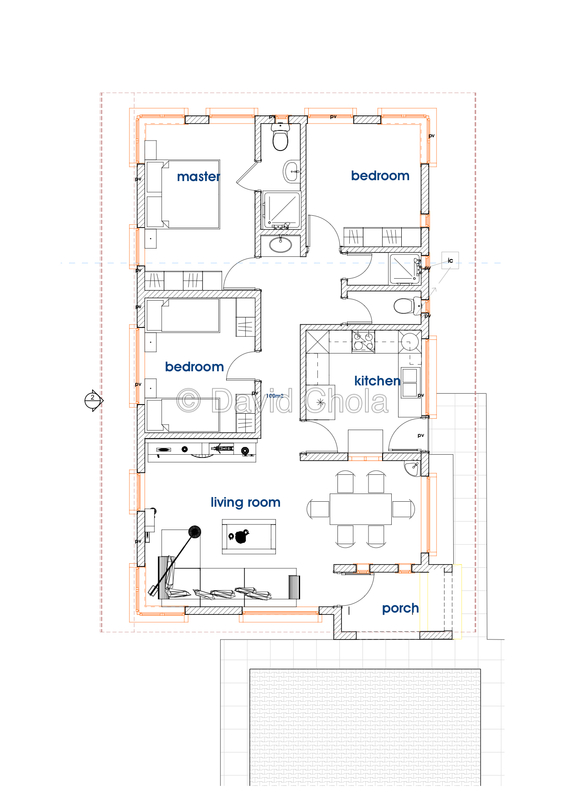 It is a large premium house plan that can suit a large Kenyan home. 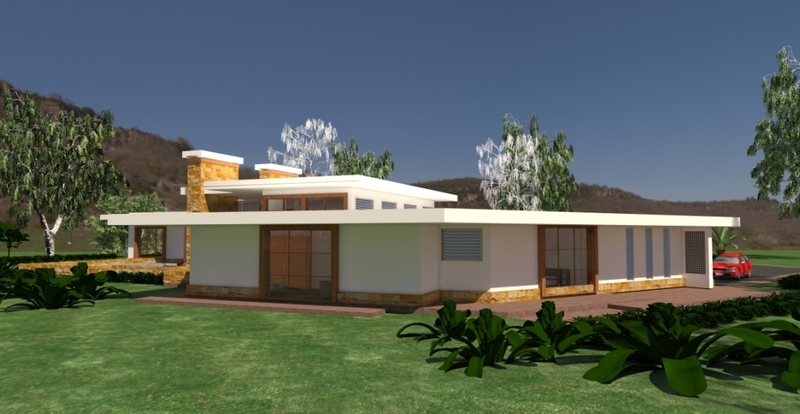 This home design incorporates wide open plan spaces and huge spans of glazing to allow the best possible blend and interaction between the exterior of the house and the inside. 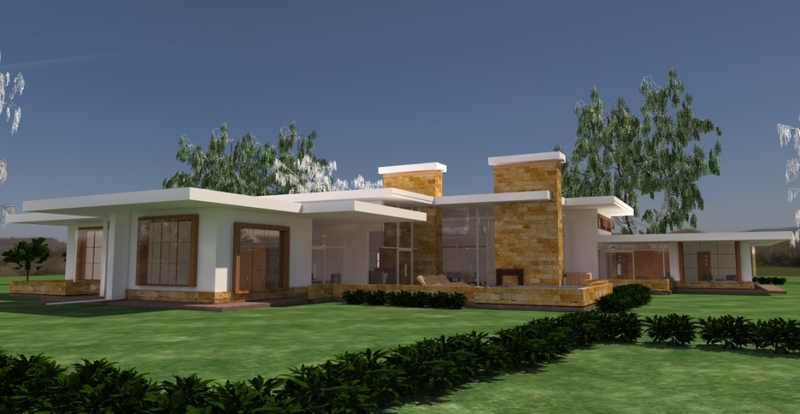 The design of this house plan incorporates a spacious living spaces and seeks to provide a contemporary design that beautifully merges with its surroundings. 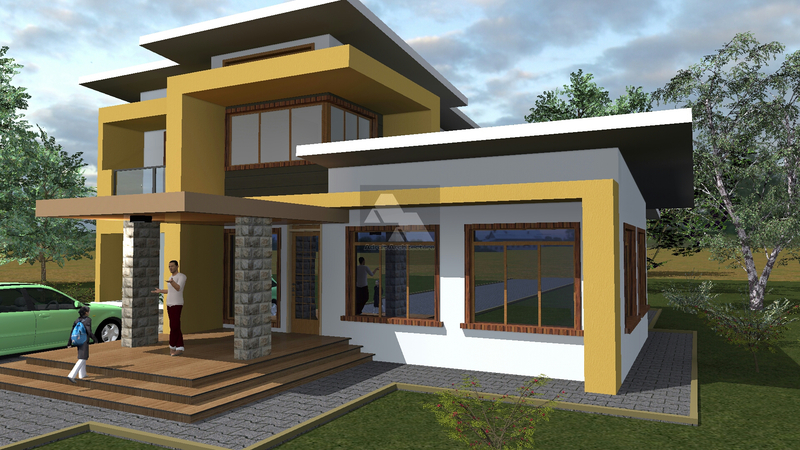 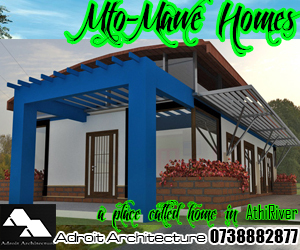 The beauty of this design is the well balanced horizontal form with its flat roofs, curtain glazing, picturesque terraces porch and roof overhangs that create this home’s character. 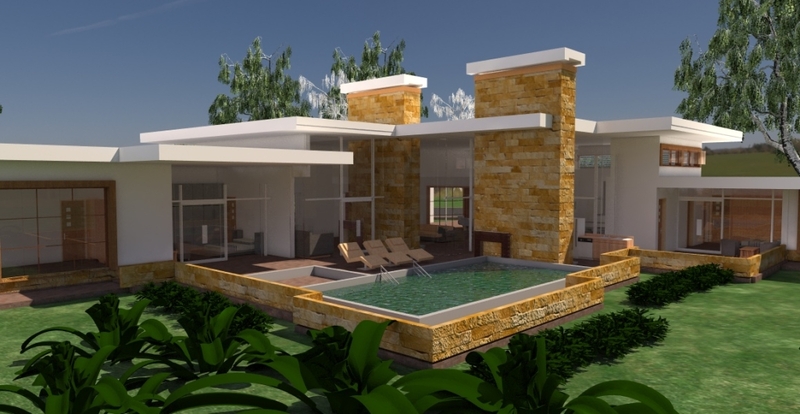 With a total developed area of 866 square meters, this home offers a ground floor area of 730 m2 and external terraces of 137m2, the home is a good high end design for a prime development. 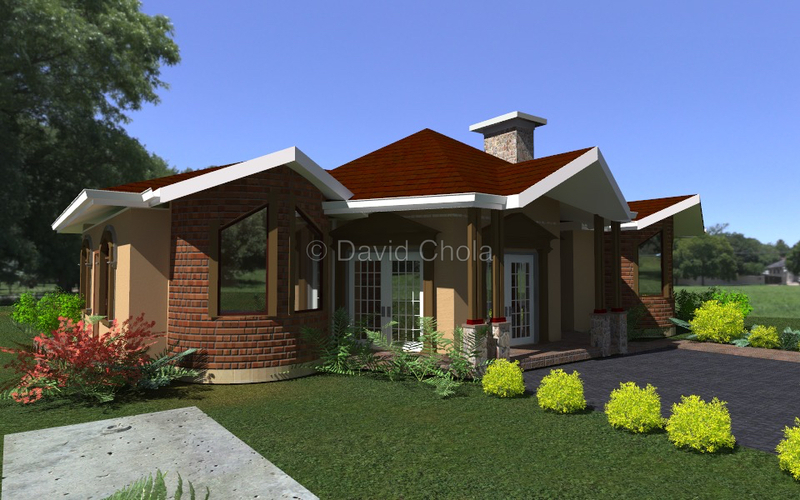 This home however requires a large wide property at least an acre large.